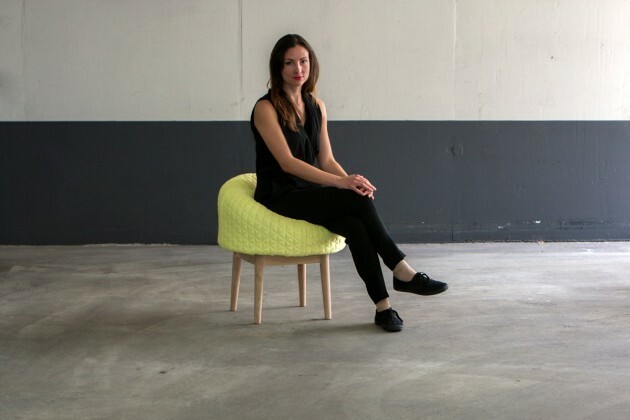 Designer Véronique Baer has created BOUNCE, a foam sculpture that turns into a chair when someone sits down. 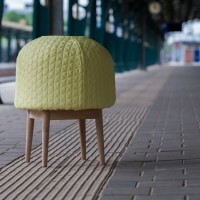 BOUNCE is a foam sculpture, which transforms into a soft and comfortable chair at the moment when someone sits down. 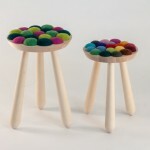 It adapts totally to any kind of body shape and bounces back up, after its user left. 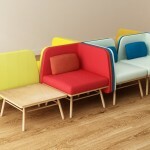 The symmetrical shape of the chair invites to sit in it from every side and in every position. The design is defined by simplicity. 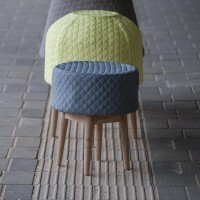 Only two foam plates are glued together by their ends to build the body of each chair. 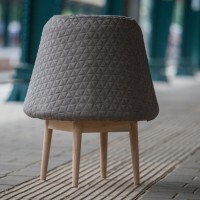 Covered by the flexible furniture fabrics of the dutch brand Febrik every chair gets its unique character. 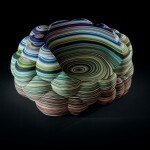 It is fascinating how materials are able to change shape and transform their functions again and again. 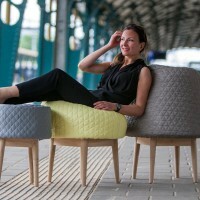 With BOUNCE the designer shows in how many ways normal furniture foam can be used. 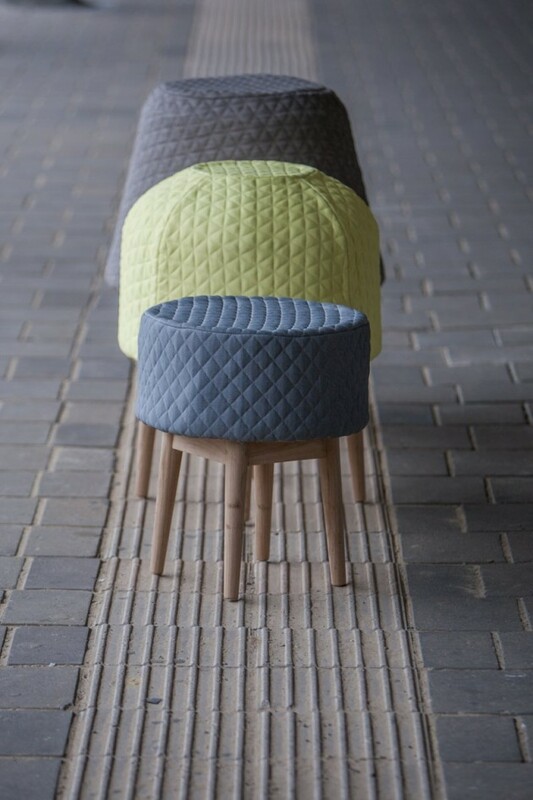 A chair can be much more than the usual seat surface with back support and legs. The BOUNCE family consists of three members Anton, Christine and Olaf. 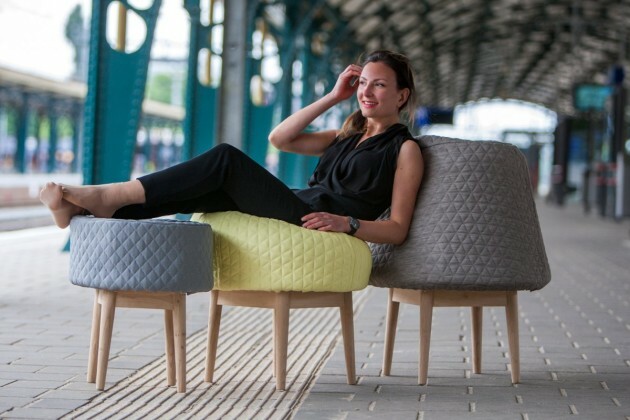 Big Anton will surround its user with back and side support when someone sits in it, while Christine is a soft comfortable chair and little Olaf has the function of a stool. They make a lovely picture when standing together.